Not ready for a full-fledged security system with long-term contracts? A DIY home security system is a lower-cost compromise that offers protection with more flexibility. We’ve put together this list of our favorite DIY security systems with DIY installation and optional professional monitoring to help you find the security you need. These companies let you turn on professional monitoring when you need it without signing up for a long-term contract. Then you can turn it back off to save money. And because the equipment is super easy to install, you can set it up on your own schedule instead of waiting for someone to come to your house. Plus, if you move, all you need to do is pack up your equipment and set up in a new home. Lowest pro-monitoring price $14.99/mo. $19.00/mo. * $19.99/mo. Data effective 1/4/2019. Offers and availability subject to change. *Price with 3-year contract. No-contract price is $29/mo. SimpliSafe’s self-install security systems are affordable and easy to use. It’s perfect if you want a flexible system that you can scale up or down depending on your budget. SimpliSafe is our top DIY security system recommendation because it offers lots of flexibility, a wide selection of inexpensive equipment, and lower-cost monitoring than competitors. You can always get pro-monitoring if you need it, but it’s not mandatory. That lets you pay for a month of monitoring if you’re going on vacation and switch back to using the equipment without monitoring if your budget gets tight. Plus, if you do choose pro-monitoring, SimpliSafe has more experience and better video monitoring support than other companies listed here. For example, SimpliSafe is the only company on this list that offers monitoring for a doorbell camera. >>Learn more: Read the full SimpliSafe review. Nest Secure equipment is a bit pricey, but it’s easy to control and monitor on your own with the Nest app. If you need pro-monitoring, you can turn it on when you’d like without signing up for a contract. Nest Secure’s biggest perk is free self-monitoring through the app. Competitors like SimpliSafe and Scout make you pay for a monthly plan before you can monitor equipment with your smartphone. If you want to monitor your own equipment with your phone, Nest Secure is the system for you. Another benefit of choosing Nest Secure is that you can easily control and monitor your equipment through the same Nest app you might already be using for other Nest devices like the thermostat, smoke alarm, or cameras. And while Nest’s equipment is pricey, the design is attractive and modern, so it blends in nicely when you set it up in your home. >>Learn more: Read the full Nest Secure review. >>Shop now: Get Nest Secure. Scout Alarm offers a solid selection of DIY install security equipment. Plus, the system works well with third-party smart home gear. Scout Alarm’s minimalist equipment makes other security equipment look drab and outdated. And while aesthetics aren’t the most important part of security, we admire a company for putting extra thought in the appearance of equipment that will be placed all over your home. Scout also packs more equipment into the starter kit so you won’t have to spend as much money on add-on equipment later. We’re also fans of Scout’s smart home support. While Scout doesn’t offer much itself, the system is compatible with tons of third-party gear including Nest, LIFX, Philips Hue, IFTTT, Amazon Alexa, and Google Home. >>Learn more: Read the full Scout Alarm review. 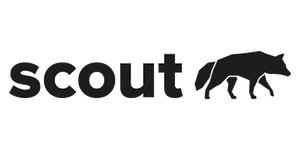 >>Shop now: Get Scout Alarm. If the companies listed above don’t look like the right fit for your home, consider these other DIY home security options. Abode came close to beating out the systems listed above because it lets you monitor through the app for free or pay for a few days of pro-monitoring at a time. However, it didn’t quite make the cut because it has less security experience and customer support than the companies we recommend. 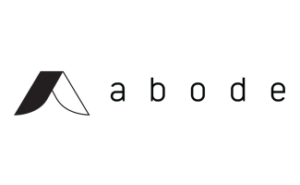 If you’d like to learn more about Abode systems, check out our full Abode security review. The coolest thing about this security kit is that the main security hub doubles as a smart home hub. That means you can use it with tons of other SmartThings products. The system has a lot in common with Nest Secure, but Samsung loses points because it has a shorter warranty, more expensive starter kit, and higher priced monitoring. 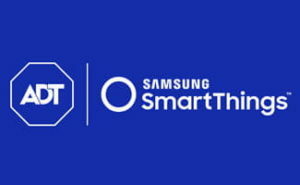 Visit our full review to learn more about security through Samsung SmartThings and ADT. *Note: There is also a home and life safety monitoring plan for $14.99/mo. But it doesn’t include security monitoring (ex. motion detection or door/window sensors). At $10/month, Ring’s pro monitoring is dramatically cheaper than most competitors. Ring has less security experience and offers fewer security features than larger companies like SimpliSafe, but if you need basics on a budget, it’s a great choice. Ring also makes impressive cameras (including the popular doorbell cameras). And although Rind doesn’t provide monitoring for the cameras, you can still check the camera feed in the same app you use to control your security system. SimpliSafe is our favorite DIY home security system because you can do more with it if you need to scale up your security needs. It’s our top suggestion for most people interested in DIY security. However, if you want to monitor your own equipment through an app without paying a monthly fee, you might prefer Nest Secure or Abode.